58-Looking west over the bimah and back to the entry to the Conegliano Synagogue and the women's balcony. 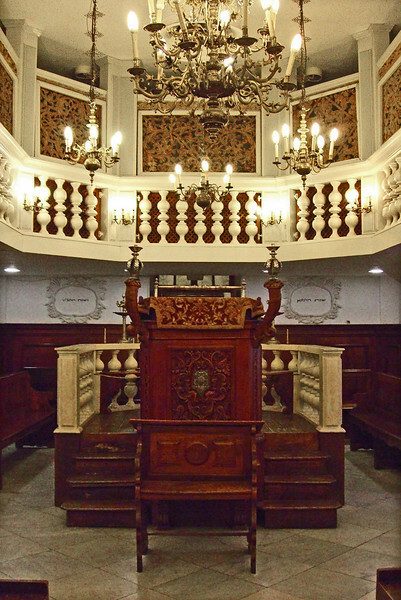 In Italy, this bimah was located at the west end of the hall, opposite the Torah Ark at the Eastern wall. This bimah is now almost in the middle of the hall.